A very stylish handbag in a unique trapezoid shape to compliment your vintage pinup inspired or rockabilly style! 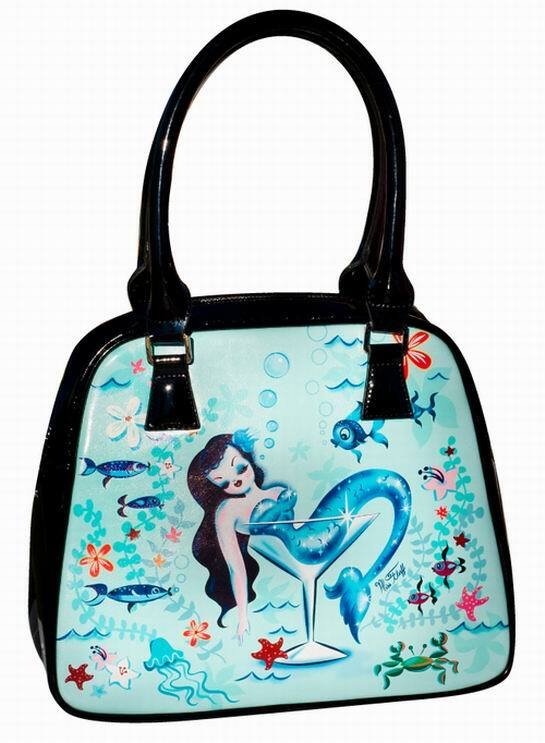 This Fluff handbag features a glamorous mermaid lounging in a martini glass. With cute fishies surrounding her, enchanted by her beauty. 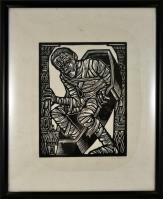 Original artwork by Miss Fluff (Claudette Barjoud). The interior is a whimisical tropical floral custom print Fluff lining. And to top things off, the handbag is complete with an adorable silver Fluff starfish charm that sparkles with an aqua blue crystal!